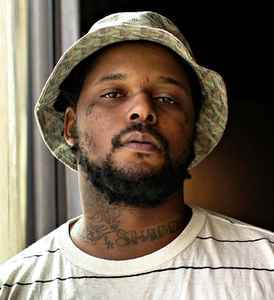 Quincy Matthew Hanley (born October 26, 1986), better known by his stage name Schoolboy Q (often stylized ScHoolboy Q), is an American hip hop recording artist from South Central Los Angeles, California. In 2009, Hanley signed to Carson-based independent record label Top Dawg Entertainment (TDE) and in late 2011, secured a recording contract with major label Interscope Records. Hanley is also a member of the hip hop supergroup Black Hippy, alongside label-mates and fellow California-based rappers Ab-Soul, Jay Rock, and Kendrick Lamar. In 2008, Hanley released his first full-length project, a mixtape titled ScHoolboy Turned Hustla. He later released a follow-up in 2009, titled Gangsta & Soul. He then returned in January 2011, with his first independent album, titled Setbacks. The project, released under TDE, to digital retailers only, reached number 100 on the US Billboard 200 chart. A little over a year later, his second independent album Habits & Contradictions, was also released exclusively to digital retailers. The album received generally favorable reviews and debuted at number 111 on the US Billboard 200. After signing with Interscope, Hanley subsequently began recording his major-label debut studio album, titled Oxymoron. The album was released on February 25, 2014 and debuted at number one on the US Billboard 200. The album was supported by the singles, "Collard Greens", "Man of the Year", "Break the Bank" "Studio" and "Hell of a Night", with "Collard Greens", "Man of the Year" and "Studio" all charting on the US Billboard Hot 100 chart.